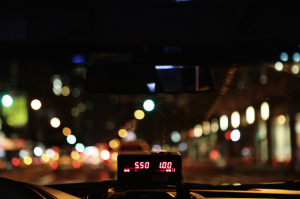 If you’ve ever been inside a New York City cab you know that feeling watching the meter go up while sitting in traffic. You shouldn’t get that same feeling of the meter running when you are dealing with your graphic designer. Many graphic designers charge you on a “per hour” rate. This may seem like a good idea at first but upon further inspection it turns out it may not be giving you the best value. The “billable hour” has been around for ages in the agency world. While we would like to think all clients have a money vault and swim around in it like Scrooge McDuck, we know this is not true. We understand that a small business needs the very best out of every dollar that it spends on marketing. Another area you find hourly charges is in print shops. You typically see a barber shop style pricing chart on the wall that shows rates for design. Do you really want your project to be treated like a cheap haircut? This may be acceptable for alterations to your artwork but if you are looking for creative design you may want to choose a marketing company in the first place. The per project pricing model does not charge the clients by the hour for design work. It takes into account a comprehensive understanding of the project and gives you an estimate based on the overall needs of the project. We feel that the value is in the quality of the work you get and not the amount of time it takes to produce it. We don’t want you to confuse this with cheaper prices, the project pricing model simply gives you a better value for your money and keeps hidden cost away. Everything is up front and if anything is to change you are notified immediately. We are a forward thinking company and this is just one of the things we choose to think differently about! Contact us today to get an estimate on your project.